Technology continues to advance at breakneck speeds, which is shifting how we learn in our daily lives. Today’s educators face the challenge of staying ahead of this curve, tracking these new technologies, and keeping an eye on how these changes will shape the future of education and learning. Explore the changing world of educational technology. Track trends that are changing the ways we learn. Discover technologies that are enabling new learning experiences for individuals and institutions. 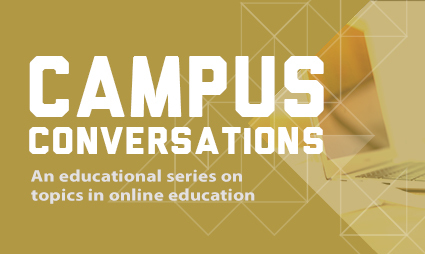 Learn how to recognize the evolution in how technology helps us interact with the world, and apply that knowledge to predictions on which trends might disrupt educational institutions. Leave this session with context around emerging trends, and with tips on how to stay ahead of the technology curve in the future. Important: An email will be sent out prior to the event with attendance information.